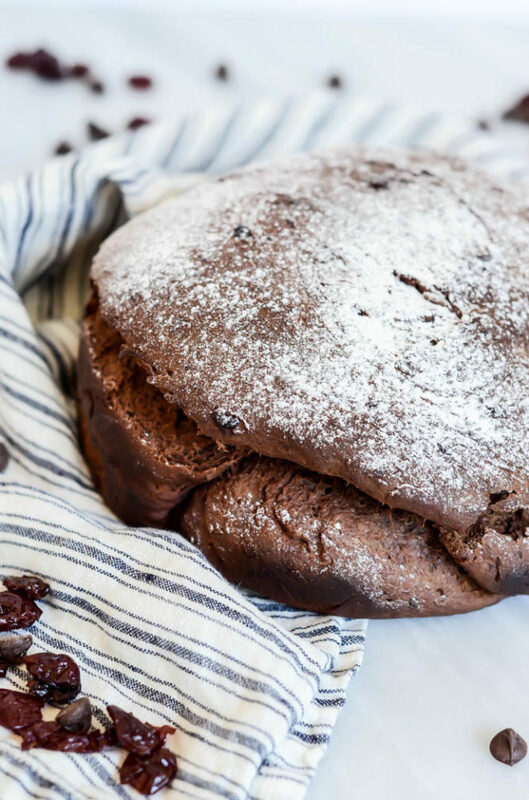 This dense yeasted bread has a chocolate-molasses dough that’s studded with chocolate chips and dried sweet cherries. It’s delicious when toasted and served warm! I don’t know what it is (maybe the fact that I finally realized how easy it is to actually pit cherries?) but this year I have been on such a cherry recipe kick. Isn’t it funny how that works sometimes? Some years, you become so absolutely obsessed with an ingredient that the ideas just keep flooding in. I suppose I have pregnancy to blame for my obsession with certain foodstuffs, and when those foodstuffs involve things like red, juicy cherries, I don’t mind one bit. Now, this farmer’s market is seriously no joke. Not only will you find a ginormous selection of local fruits and vegetables, you’ll also find rows and rows of prepared food (we’re talking fried green tomatoes, roasted Kahuku corn and the like) PLUS my favorite: baked goods! One of my favorite stops was the Ba-Le stand, which is a French-Korean bakery/deli with stores throughout the island. I was still in the midst of my food obsession/eating qualms at the time, so heaven forbid I splurge and buy a whole loaf of their delicious bread to eat on my own, but what I loved about the Ba-Le stand was the SAMPLES. Man, oh man, the samples. They would cut up every single flavor of bread they made and have them all sitting out there for everyone to try. As you can imagine, after a long run (and as someone who had not been nourishing myself properly for these runs) I was alllll about the bread samples. One of my very favorite flavors that Ba-Le had for sale (and to sample!) was the Chocolate Cherry Bread. 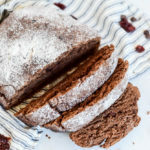 I don’t know about you, but whenever I had imagined a Chocolate Cherry Bread, I would think of a quick bread, with a dense, pound cake-like texture. But this Chocolate Cherry Bread was different. It was a yeasted bread, which meant it had plenty of heft and was perfect for toasting and slathering butter or cream cheese on. On one of my Dad’s many visits out to see me, I took him to the market and made him try this bread that I had so madly fell in love with. My Dad is my confidant when it comes to recreating recipes I try out in public at home. His palate is spot on and he knows exactly what it will take to make our own version of whatever we’ve fallen in love with. 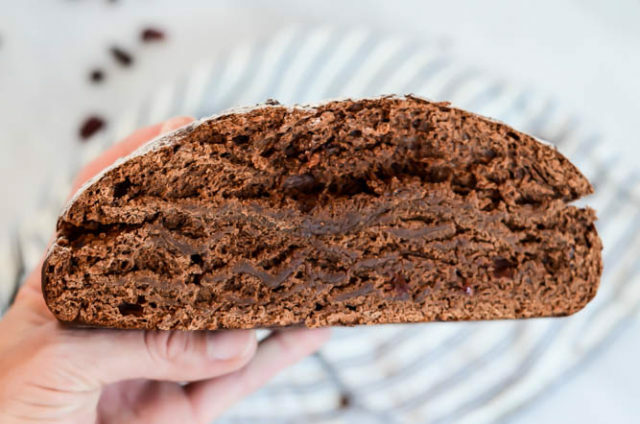 Needless to say, the next time I was home visiting my parents in Santa Cruz, we tackled the task of making our very own version of Chocolate Cherry Bread. The result is this recipe I’m sharing today, which has finally made its way off of the piece of scratch paper I had scrawled it on and into my “official” recipe archives. Yeasted breads can often seem intimidating but, with a little planning, I promise they’re not. 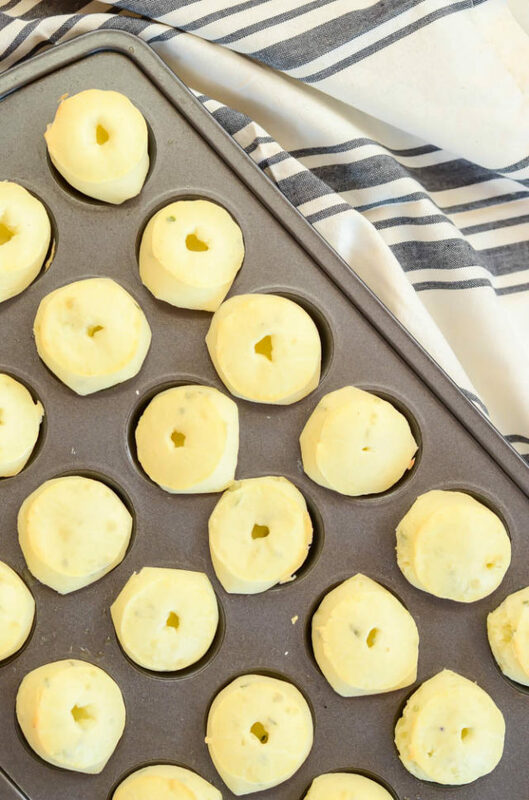 In fact, they’re probably one of the easier baked goods to tackle, simply for the fact that much of the prep time involves just letting the dough rest and rise. The actual dough-making and baking process takes less than an hour. 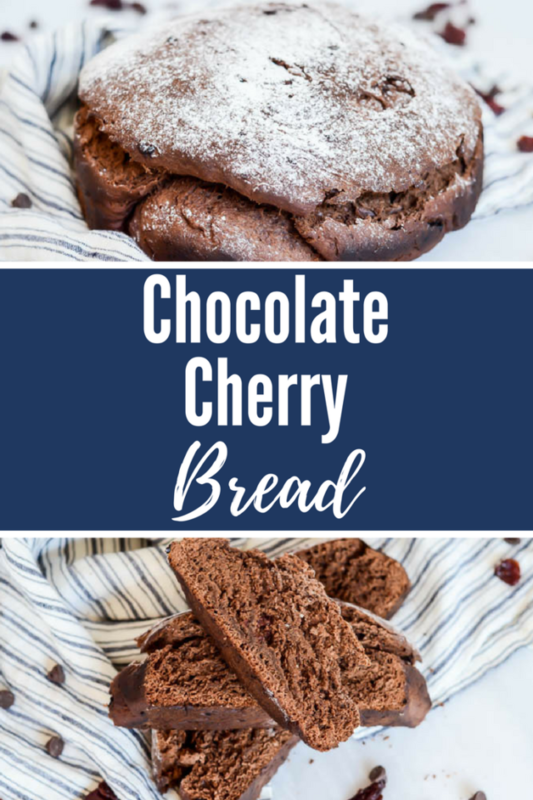 Since I’ve been preggo, I’ve needed to eat something as soon as I wake up in the morning, and this Chocolate Cherry Bread has been just the answer. 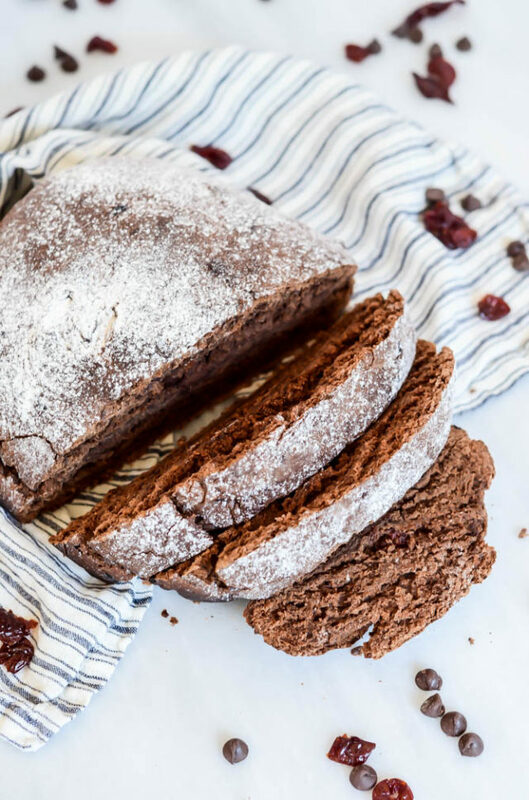 We (just the two of us) can go through a loaf in less than a week, but if you don’t consume carbs at the rapid pace that we do (or simply want to save your Chocolate Cherry Bread for a special occasion,) the loaf will freeze incredibly well. I’m thinking this is another thing I’ll have to stock in our freezer for the weeks after baby comes? 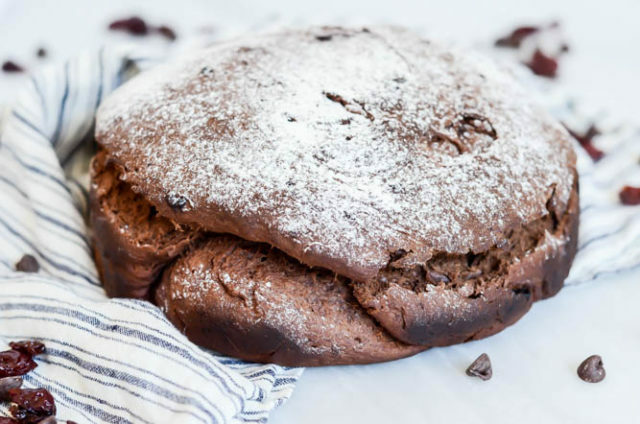 This dense yeasted bread has a chocolate-molasses dough that's studded with chocolate chips and dried sweet cherries. It's delicious when toasted and served warm! Turn the dough out of the food processor and into a medium mixing bowl coated with cooking spray. Cover and let rise in a warm place free from drafts for 30 minutes to 1 hour, or until dough has doubled in size. Take dough out of bowl and knead a bit, either just between your hands or on a lightly floured surface, before placing dough in a greased 8-inch round cake pan. Let rise, uncovered, in a warm place for another hour. Towards the end of the second rise, preheat the oven to 375 degrees Fahrenheit. When dough is finished rising, bake at 375 degrees for 40 minutes, or until bread sounds a bit hollow when you tap on the top. Let cool in the pan for 15 minutes, then turn out on to a cooling rack to cool completely. 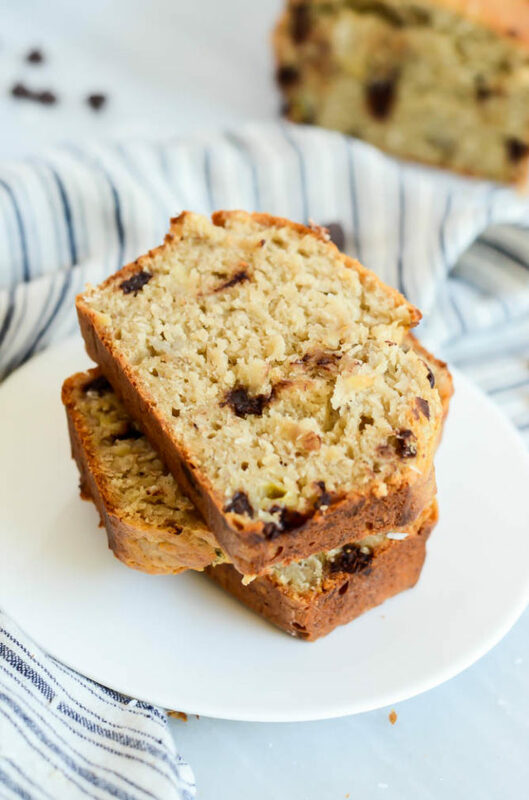 This fun twist on banana bread adds two classic flavors – chocolate and coconut! It’s an incredibly easy recipe and makes enough to enjoy now AND later! 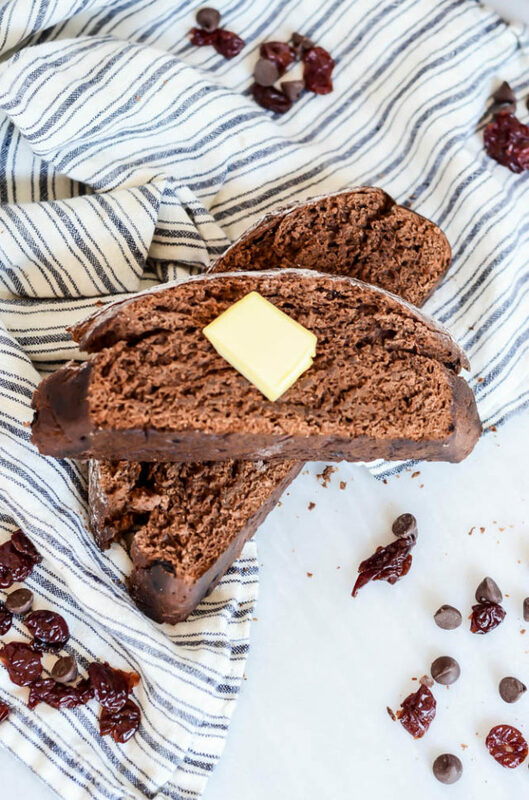 I’m a diehard banana bread lover, especially when it’s loaded with all of the same flavors you find in your favorite Girl Scout cookie (Samoas, I’m looking at you!) This Coconut Chocolate Chip Banana Bread just MAY be the best recipe adaptation I’ve ever made. My passion for banana bread started when I was just a wee tyke (okay, maybe a preteen) getting interested in the world of cooking and baking. My mom had a Mrs. Fields I Love Chocolate Cookbook (thanks to my Dad’s obsession with ‘Vitamin C,” as we dubbed it in our household) and, upon leafing through it for inspiration, I settled on making the cookie goddess’ Chocolate Chip Banana Bread, if only because (a) it looked really easy and (b) it made two loaves! 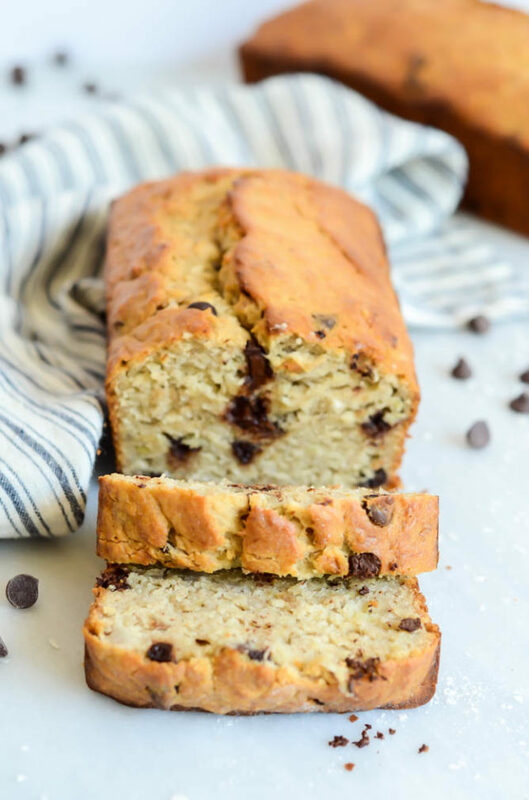 Let’s just say this Chocolate Chip Banana Bread was a smashing success in our household, and became my go-to baked good whenever we wanted a little breakfast treat or dessert around to munch on. But pregnancy tends to bring you back to your homegrown roots, and I found myself craving a sweetly satisfying breakfast bread that I could easily enjoy a piece of when I wake up at the crack of dawn and still have a couple of hours to wait before the hubs is awake and it’s time for our Power Protein Smoothie. So, I decided to take what I already knew was a favorite of mine and really make it my own. 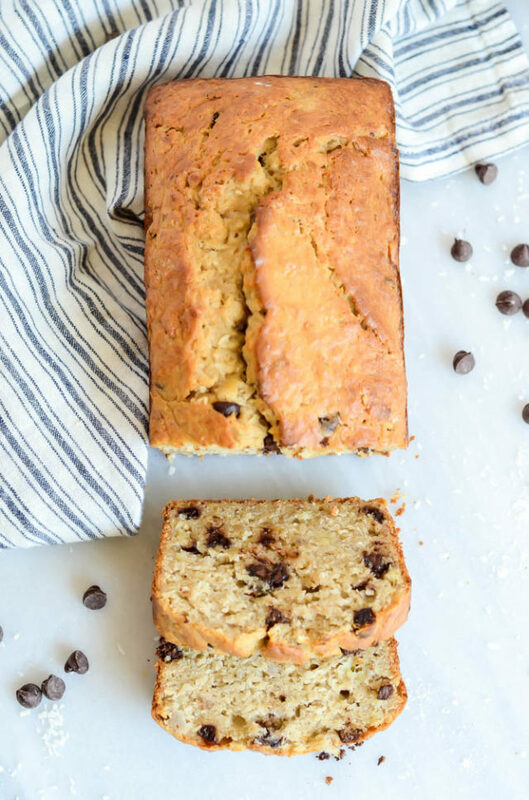 This oh-so-delicious Coconut Chocolate Chip Banana Bread is the proud result! 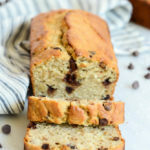 I used much of the original Mrs. Field’s Chocolate Chip Banana Bread recipe, except I decided to add a tropical twist with some finely shredded unsweetened coconut. I also not only reduced the overall sugar content in the recipe, but decided to use brown sugar as a partial substitute to really give the bread some caramelly flavor which, if you saw my above note about Samoas, is obviously a great compliment to the chocolate and coconut flavors. Don’t be scared off by the large quantities of some of the ingredients. Keep in mind that this recipe makes two loaves! And I would like to point out that they freeze REALLY well. I’m starting to think about what I’m going to want to load our freezer with before Baby D. comes, and if the second loaf of this last batch of Coconut Chocolate Chip Banana Bread happens to get consumed in the next four and a half months (which is very likely,) you can bet I’ll be making more. We need to be sure we’re well-equipped with delicious breakfast foods when we’re incredibly sleep-deprived and walking around the kitchen like zombies. And the whole reason I came to enjoy making banana bread still stands true today – it is so easy! 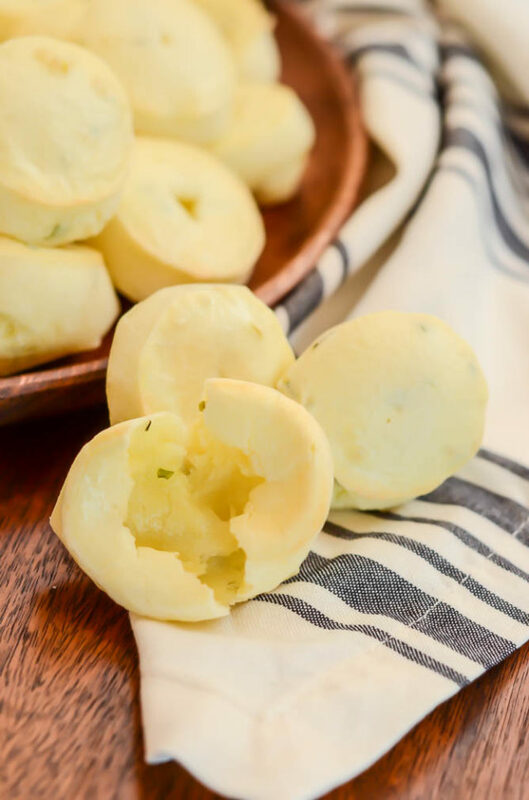 The hardest part might just be planning enough in advance so you can pull some butter out of the refrigerator to come to room temperature before making the batter. Aside from that, you can have the batter mixed, poured out into the loaf pans and into the oven in less than 15 minutes. Then the only tricky part is waiting the hour it takes for the loaves to cook. 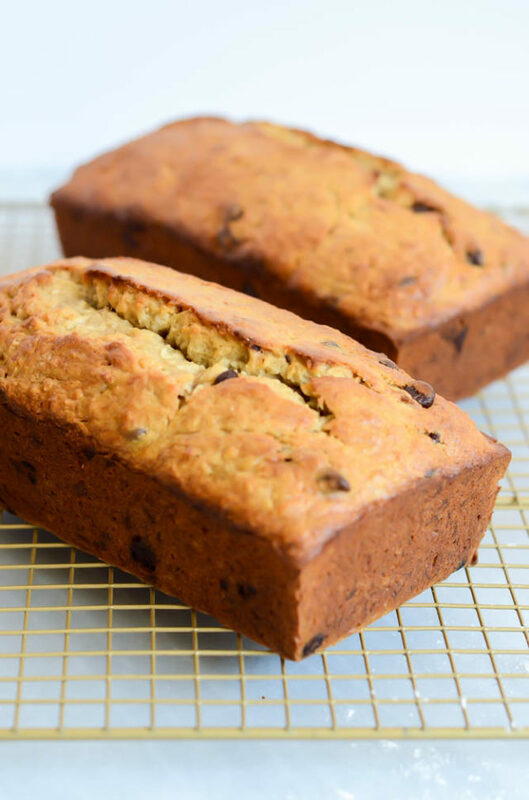 It won’t be long before the smell of Coconut Chocolate Chip Banana Bread is wafting through your house! 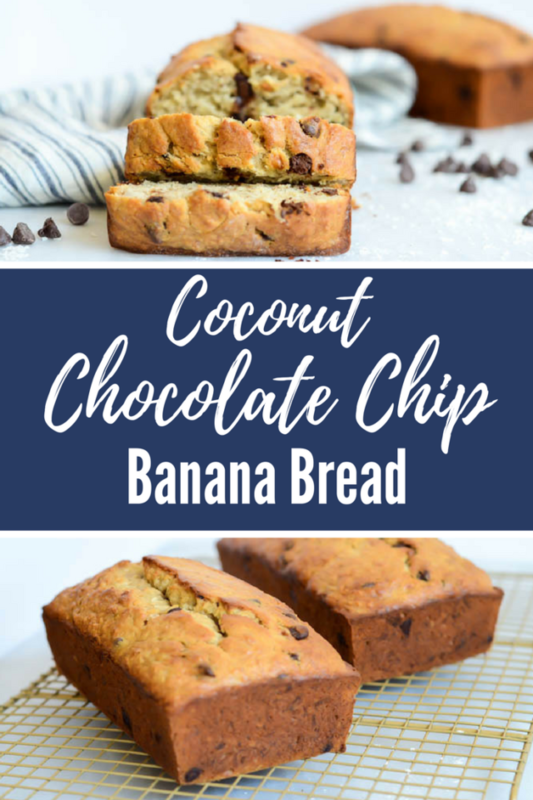 This fun twist on banana bread adds two classic flavors - chocolate and coconut! 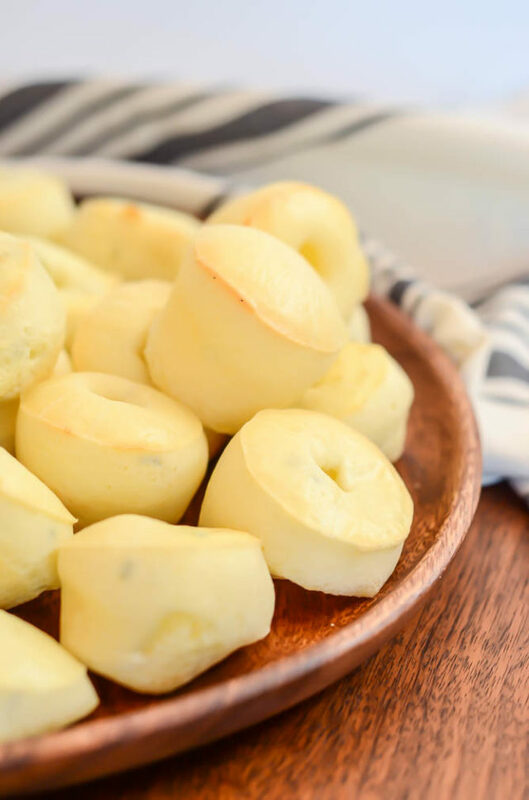 It's an incredibly easy recipe and makes enough to enjoy now AND later! Preheat the oven to 350 degrees Fahrenheit. Spray two 8.5-inch loaf pans with cooking spray and line the bottoms with parchment paper to prevent sticking. Set aside. In the bowl of a stand mixer fitted with the paddle attachment, cream the butter and both types of sugar until light and fluffy. Add the bananas and beaten eggs and mix until well incorporated. Add the vanilla. Add the flour mixture to the wet ingredients and mix to combine. Remove the bowl from the stand mixer and, using a spatula, fold in the coconut and chocolate chips. Let loaves cool, in pans, on a wire rack for 15 minutes, then turn out of pans to cool completely. 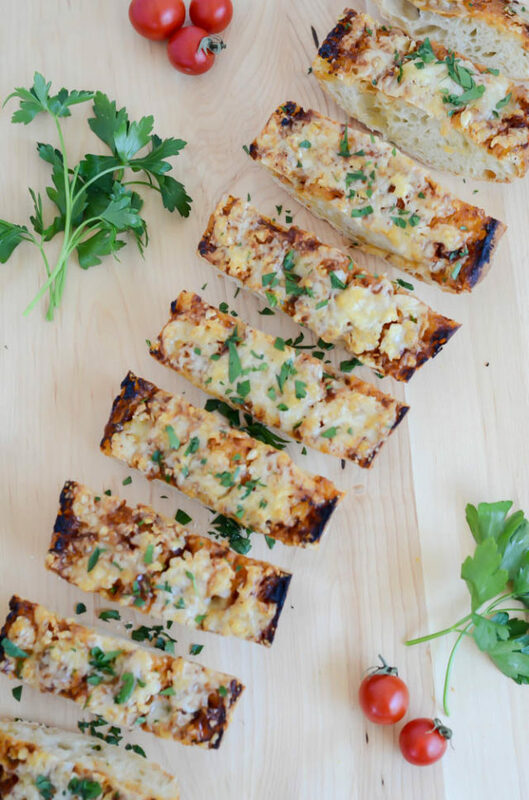 Not your average garlic bread! This version is loaded with zesty BBQ sauce and smothered in melted cheese, the perfect BBQ side dish! 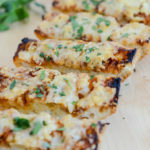 This cheesy goodness goes by no other name than (somewhat obvious): Cheesy BBQ Garlic Bread! I’ve been wanting to make this perfect cookout accompaniment for quite some time now, and I figured what better time to do so than for the holiday weekend that basically kicks off summer! And I’m not stopping there. That’s right, this week I’ll be bringing you all kinds of fun BBQ-friendly dishes to get you loaded up with recipes before the hubs and I skip town and head up to Tahoe for a much needed getaway with a few of our close friends. My hubby’s birthday happens to be on Memorial Day this year so we thought, what better way to celebrate than at one of our favorite places with some of our favorite people? We’re keeping it fairly low-key, though, with a spa day penciled in and surely lots of time just relaxing around the house and catching up! I hear there may still even be snow there, which would be pretty cool. 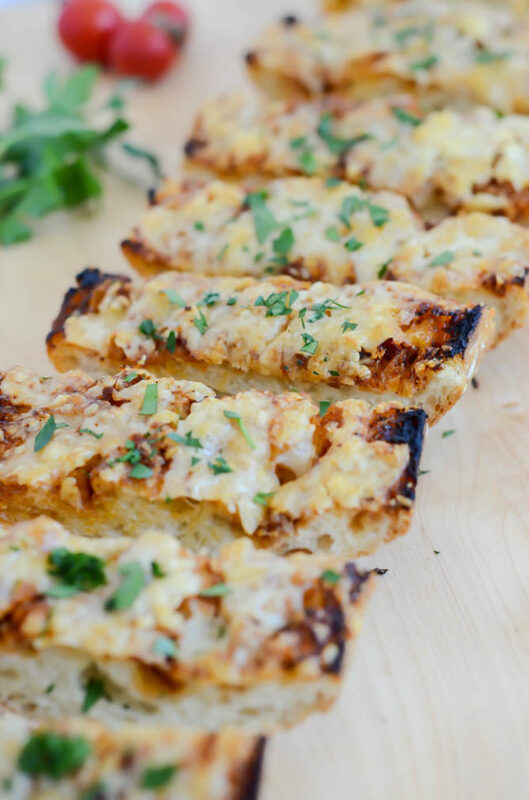 Sorry, just a little digression, because what I’m really here to talk about is this Cheesy BBQ Garlic Bread. I’m very happy to report that it turned out just every bit as good as I had imagined. And it’s so easy! We’re talking about FIVE ingredients and FIVE minutes on a high heat grill (or under the broiler.) That’s it! Of course, if you wanted to be really adventurous, you could whip up your own BBQ from scratch, but if your household is anything like ours, you probably have at least a bottle or two of your favorite premade stuff hanging around your pantry or refrigerator. Every year, Chris and I are lucky enough to attend some of the Santa Barbara International Film Festival’s events through his company’s sponsorship connections. When we heard we’d be getting tickets to the opening film this year and what the film was about, I have to admit I was a LOT more excited than I had been for the films being screened in previous years. Charged is a film about Chef Eduardo Garcia’s survival and inspiring recovery from being charged with 2400 volts of electricity while out hiking in the woods one afternoon. Although not for the faint of heart, the film is full of Eduardo’s unwavering positivity in the face of adversity and perseverance through some very challenging obstacles. We were lucky enough to get to chat with him after the film, and I was honored when he offered to send me a box of his company’s products. Chef Eduardo founded Montana Mex after he became frustrated with so many of the Mexican food products available here in the United States that were laden with chemicals and preservatives. So he and his business partner set out to make a line of Mexican-inspired condiments without all of the gunky stuff. Which you know is right up my alley! Charged won’t be released to the general public until September (at which time you most definitely need to go see it), but if you come across any film festivals that might be airing it before then, GO! If you like inspiring stories, survival and food, you will not be disappointed. Eek, ok! 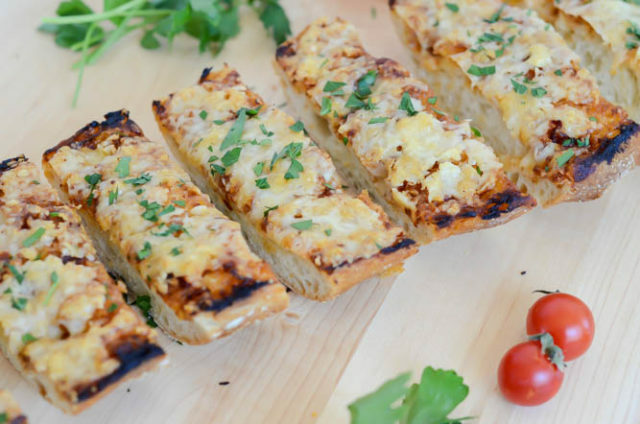 Let’s get to this Cheesy BBQ Garlic Bread. Good thing it’s so easy to make because I have been rambling for far too long already and I’m sure we all have more important things to be doing on a Monday morning. So here’s what we do: We start with a huge loaf of fresh, crusty bread. A pain rustique or ciabatta (something with lots of little air pockets in the dough) would be ideal here. We want lots of nooks and crannies for all of the butter, garlic and BBQ sauce to ooze into. 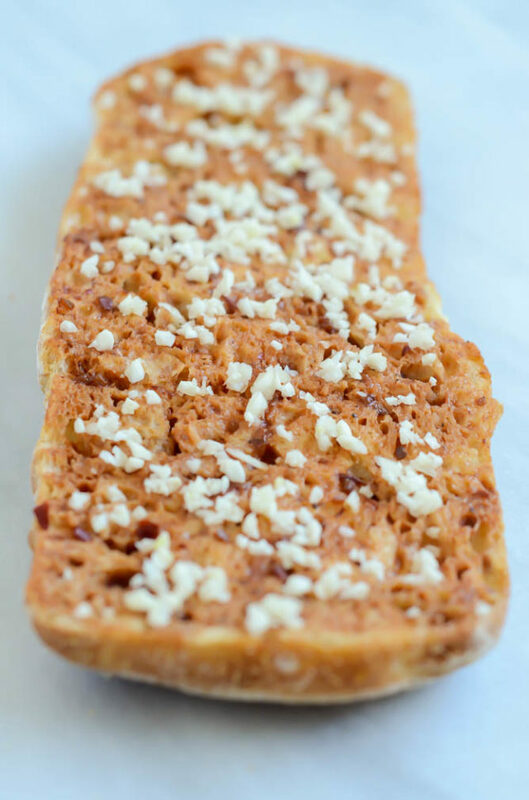 We slice the bread long-ways for maximum surface area, then start slathering on the good stuff – first butter, the BBQ sauce and garlic, then cheese. 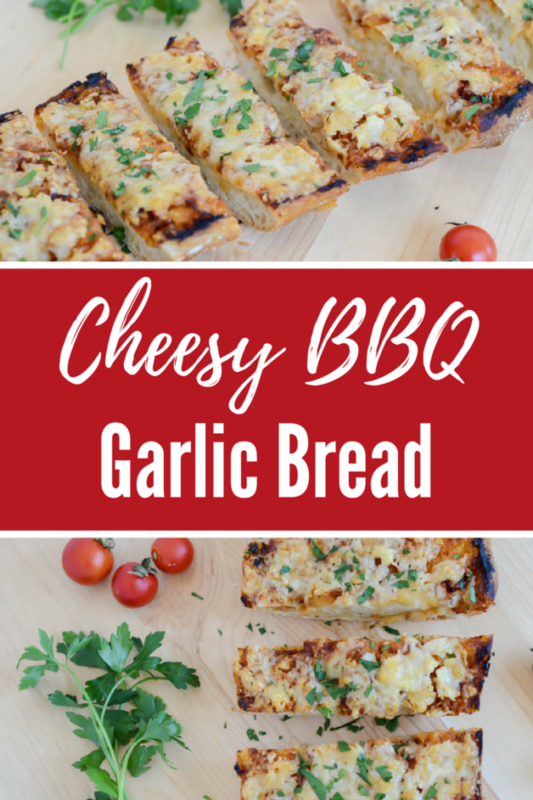 Because this BBQ garlic bread is CHEESY. 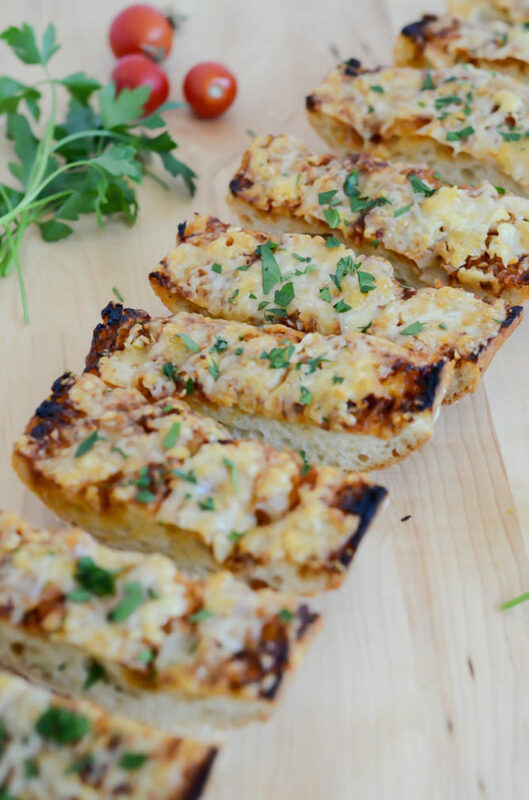 Throw the loaf halves onto the grill (if you have space to spare) or pop them under the broiler and you’ll have delicious Cheesy BBQ Garlic Bread in as little as five minutes. If that’s not the perfect cookout side dish, I don’t know what is! Place halves of bread cut side up on a large baking sheet lined with aluminum foil. If using the grill, turn it on high and let it begin warming up. If using the broiler, turn it on high to preheat. Spread melted butter evenly onto loaf halves, then do the same with the BBQ sauce. 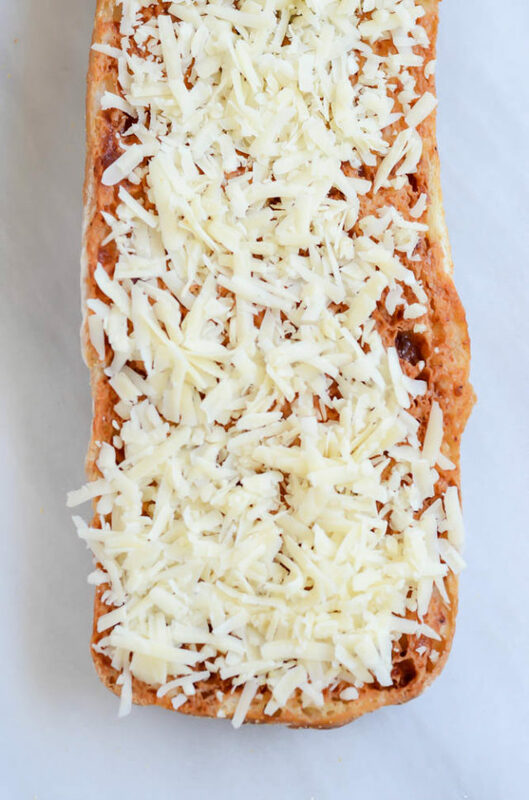 Sprinkle on the minced garlic and then cover the loaf halves evenly with the shredded cheese. If using the grill, place the bread (topping side up) directly onto the grates. If using the broiler, keep the bread on the baking sheet and place in the oven. Cook for approximately 5 minutes, or until cheese is melted and bubbling and edges of bread are browned. Let cool slightly before slicing and serving. A family recipe for this classic springtime baked good – a buttery dough studded with plump raisins, topped with the perfect touch of icing. 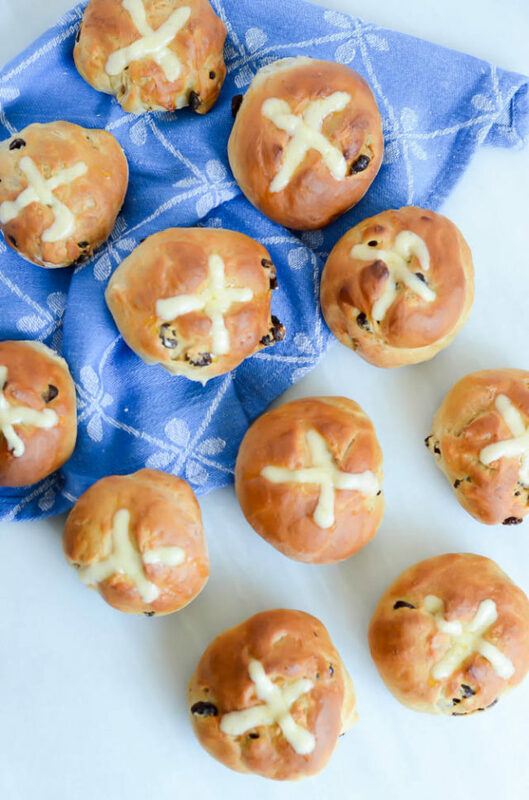 I told you this week was going to be all about the Easter prep, and today I’m definitely not going to disappoint with these Hot Cross Buns. This is yet another family recipe that I’ve successfully transcribed from my Dad’s improvisational ways, and let me tell you, I’m so glad I’ll now have this recipe in my back pocket whenever springtime rolls around. I’m not really an expert on Hot Cross Buns, except for the fact that they’re incredibly hard to find good store- or bakery-bought versions of. When I lived at home (or would come home to visit for Easter when I lived away) we went through way too many years wasting our time trying to find “just the right” version at one of our local bakeries or grocery stores. Problem was, they were never as good as we imagined, or as we imagined we could make them. Leave it to my Dad to solve that problem, and solve it he did. What I love about Hot Cross Buns is that there are so many iterations of them. You can spice the dough (as I do in this recipe) or leave it really basic and buttery. You can add in the classic fruit cake mix to liven things up a bit, or you can leave it simpler with raisins studding the dough, or nothing at all. 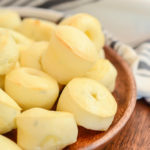 For the icing, you can tint it the classic yellow hue with food coloring or simply allow the sweet topping to take on whatever natural color it gets from your icing ingredients. 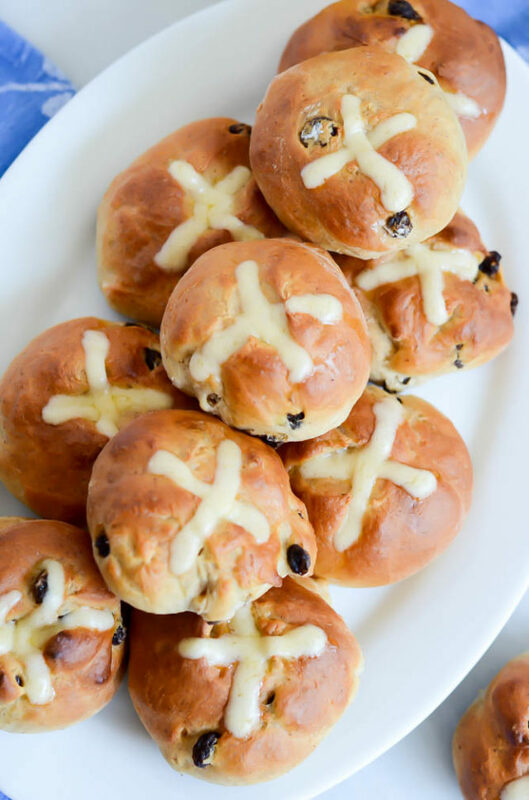 Long story short, just about any person out there can find a Hot Cross Bun recipe that they want to make over and over again, year after year. In fact, I may need to pack a few of these in Ziplocs for our ride to the airport on Sunday. If we can’t have our usual Easter meals and festivities due to travel, we might as well get our Easter treats in wherever we can! I’m not going to sugar-coat it (haha, you see what I did there?) but these buns do take a little bit of time to make, definitely not for their difficulty level, but simply because they go through the standard double rise you do with most yeast breads. That being said, a little bit of planning goes a long way, and I can guarantee that once you practice the recipe one time through, it will get easier and easier every time. I speak from experience since I had a little blonde moment the first time I made these and forgot to add the butter to the dough. Good news was, the Hot Cross Buns turned out to be gorgeous-looking. Bad news was, they were suuuuppper dry and didn’t taste nearly as good as they looked. And because I hate wasting any food, I simply proceeded to load up that first batch of Hot Cross Buns with butter every time I wanted to eat one, and I probably ended up consuming way more butter than I would have if I had just included in the recipe in the first place. Hey, we all learn from our silly mistakes! 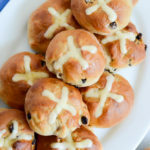 I’m happy to report that no silly mistakes were made the second time I gave this recipe a whirl, and I was able to whip up perfectly composed Hot Cross Buns in almost no time flat. 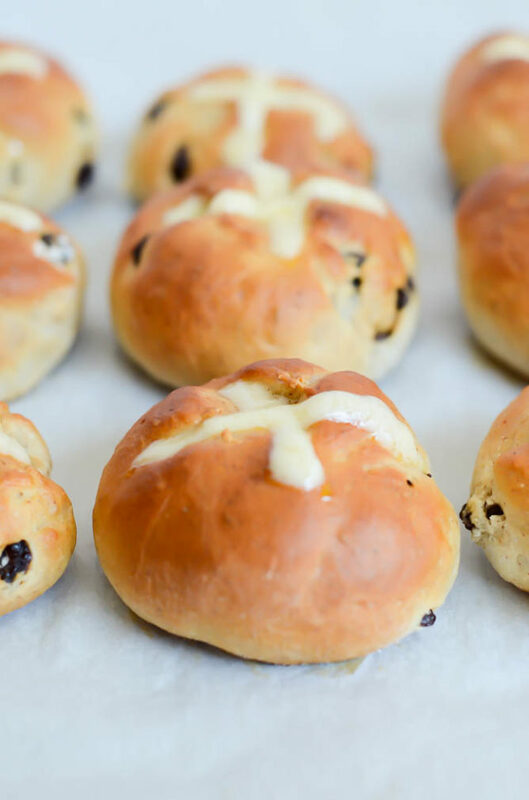 What I love about these Hot Cross Buns is that, once you get through the whole double rise process, you bake them off and they’re ready to devour in just 15 minutes (well, 25 minutes if you allow time to cool and frost them.) That means that you don’t have to wait too long to enjoy after their magnificent smell starts wafting through the house! Although I personally didn’t try it, I’d bet you could easily adapt this recipe to make the second rise an overnight one. That way, all you need to do in the morning before breakfast is pull the buns out of the refrigerator, give them their little crosses and egg wash, and pop them in the oven. I may try this the next time I give these a whirl (undoubtedly in the very near future) but if you try it in the meantime, let me know how it goes! A family recipe for this classic springtime baked good - a buttery dough studded with plump raisins, topped with the perfect touch of icing. Combine the yeast and warm milk in the bowl of a stand mixer fitted with a dough hook and let sit for 5 minutes to allow the yeast to activate. Add sugar, eggs, butter and salt to the yeast mixture and beat to combine. You may want to use a whisk for a few seconds to break up the egg yolks since the dough hook doesn’t do a great job of it. In a small mixing bowl, sift together 1 cup of the flour and the cinnamon, nutmeg and cloves. Add this to the mixture in the stand mixer along with the raisins and beat on medium-low until flour is well-incorporated. Scrape down the sides of the stand mixer and add additional 1 1/3 cups flour. Once again turn the mixer on medium-low and mix until a sticky dough forms. Remove the bowl from the mixer, cover with a damp hand towel, and place in a warm place to rise for about an hour, or until doubled in size. Punch down dough and turn out onto a lightly floured surface. You may also need to coat your hands with a bit of flour to keep the dough from sticking to them. Cover the dough once it’s turned out and let it rest for 10 minutes. 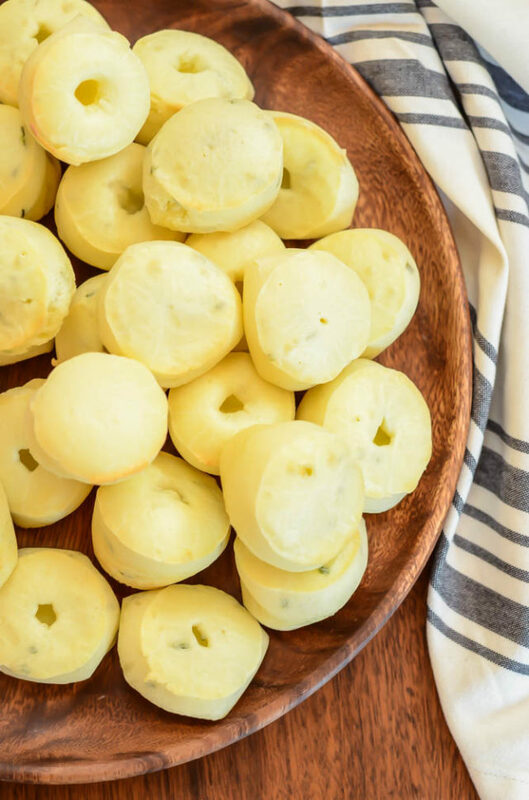 Divide the dough into 12 equal pieces and roll each piece into a ball. Place the balls on a cookie sheet lined with parchment paper, cover and let rise for another hour. Preheat the oven to 350 degrees Fahrenheit. Using kitchen shears, cut a cross in the center of each bun, then brush with egg white. Place in oven and bake for approximately 15 minutes, or until the tops of the buns have turned golden and bread sounds fairly hollow when tapped. Remove from oven and let cool. While buns are cooling, prepare the icing. In a small mixing bowl, whisk together all of the icing ingredients. Transfer to a piping bag (or Ziploc) and then snip off the tip. 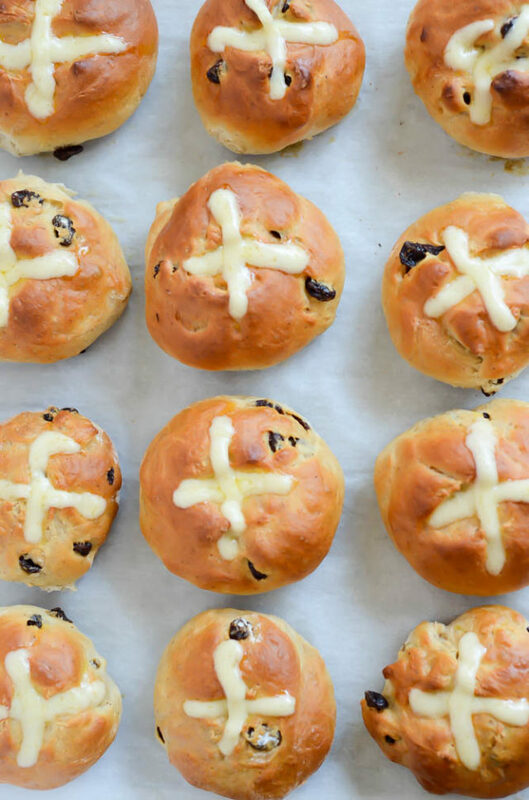 Using the crosses you cut into your buns before baking as a guide, make a cross on each bun. Enjoy as soon as possible!